1 A None No Power Seat 1 A is a standard Club World seat, however, the proximity to the lavatory and galley may be bothersome. 1 B None No Power Seat 1 B is a standard Club World seat, however, the proximity to the lavatory and galley may be bothersome. 1 J None No Power Seat 1 J is a standard Club World seat, however, the proximity to the lavatory and galley may be bothersome. 1 K None No Power Seat 1 K is a standard Club World seat, however, the proximity to the lavatory and galley may be bothersome. 2 A None No Power Seat 2 A is a standard Club World seat. 2 B None No Power Seat 2 B is a standard Club World seat. 2 J None No Power Seat 2 J is a standard Club World seat. 2 K None No Power Seat 2 K is a standard Club World seat. 3 A None No Power Seat 3 A is a standard Club World seat. 3 B None No Power Seat 3 B is a standard Club World seat. 3 J None No Power Seat 3 J is a standard Club World seat. 3 K None No Power Seat 3 K is a standard Club World seat. 4 A None No Power Seat 4 A is a standard Club World seat. 4 B None No Power Seat 4 B is a standard Club World seat. 4 J None No Power Seat 4 J is a standard Club World seat. 4 K None No Power Seat 4 K is a standard Club World seat. 5 A None No Power Seat 5 A is a standard Club World seat. 5 B None No Power Seat 5 B is a standard Club World seat. 5 J None No Power Seat 5 J is a standard Club World seat. 5 K None No Power Seat 5 K is a standard Club World seat. 6 A None No Power Seat 6 A is a standard Club World seat. 6 B None No Power Seat 6 B is a standard Club World seat. 6 J None No Power Seat 6 J is a standard Club World seat. 6 K None No Power Seat 6 K is a standard Club World seat. 7 A None No Power Seat 7 A is a standard Club World seat. 7 B None No Power Seat 7 B is a standard Club World seat. 7 J None No Power Seat 7 J is a standard Club World seat. 7 K None No Power Seat 7 K is a standard Club World seat. 8 A None No Power Seat 8 A is a standard Club World seat, however, the proximity to the lavatory and galley may be bothersome. 8 B None No Power Seat 8 B is a standard Club World seat, however, the proximity to the lavatory and galley may be bothersome. 8 J None No Power Seat 8 J is a standard Club World seat, however, the proximity to the lavatory and galley may be bothersome. 8 K None No Power Seat 8 K is a standard Club World seat, however, the proximity to the lavatory and galley may be bothersome. Each passenger will receove a personal media player, preloaded with music and movies. A first for British Airways, passengers are provided with personal media players preloaded with the latest music and movies that can be watched on demand. 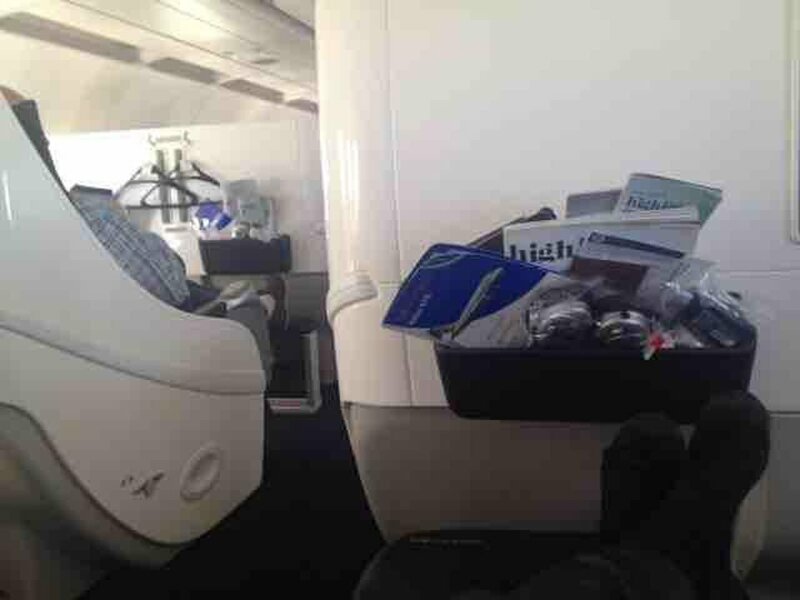 The media players are free-standing screens distributed by the flight attendants. Units can be plugged in and either stood on tray tables or clipped to a moveable arm. Each seat has two 110V AC power port sockets, which accept UK or US plugs. OnAir allows you to use your mobile phone onboard Club World London City flights, giving you access to email, text messages, and the internet, but voice calls are not permitted. OnAir is exclusive to British Airways on this route and is accessible once the aircraft has reached an altitude of 10,000 feet, which is normally about 10 minutes after take off. You will require a mobile internet account for this service and you will be billed through your network provider. Please check with your network provider to ensure that they have an agreement with OnAir and to confirm the price. At this time, passengers with US mobile service cannot use OnAir, but according to BA, T-Mobile subscribers will have access by next spring. 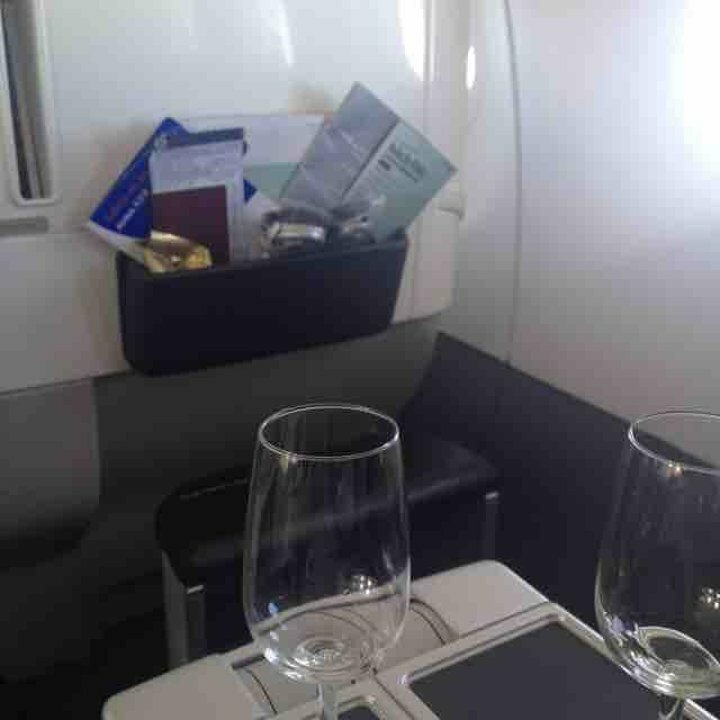 British Airways flies the A318 in a business class only configuration between London City Airport and New York JFK. On the westbound sector, an operational fuel stop will occur in Shannon where passengers will also clear US customs and immigration before continuing to New York. 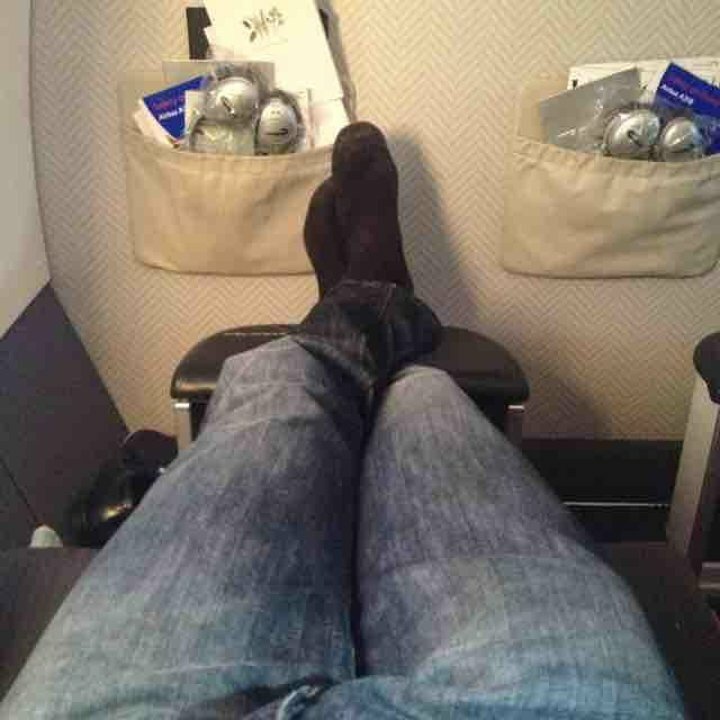 It's a few years since I did this flight but have to say it was more like being on a private jet. Excellent service. The turnaround at Shannon went like clockwork. 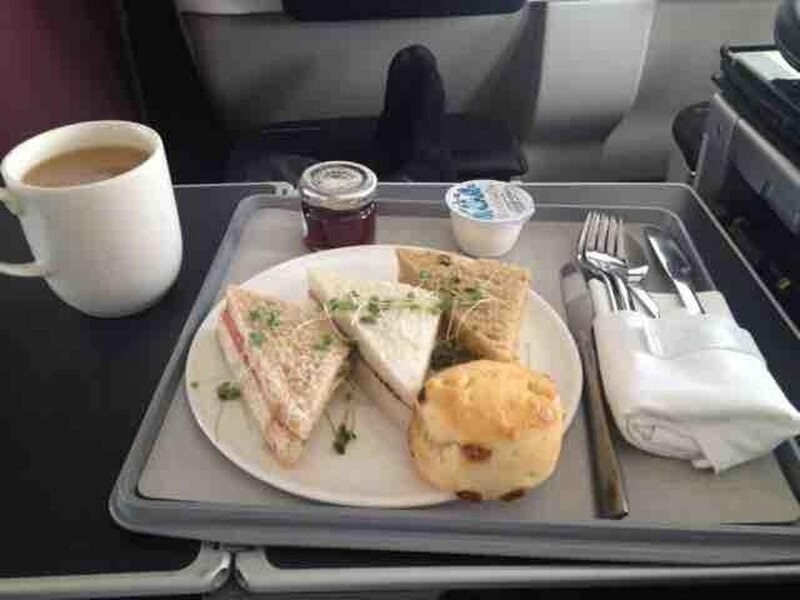 Ordering from the menu between LHR and SNN then having it served fresh not long after SNN departure was luxury itself. The big bonus? Arriving at JFK as a domestic flight. Grabbed our bags and straight to Manhattan. Perfect in every way. The plane is loud but the back of the plane has the most engine nosie but you should always ask the airline what seat they recommend!!! The OnAir didn't work for most people. It is very limited unlike AA who have full WiFi. Seats are big so plenty of space but there is no divider between the pair of seats so if you sit by a stranger you are stuck with no privacy. Luggage space good; storage space non-existant. Table fiddly and the iPad entertainment system is poor: Only one or two episodes of TV shows, a few radio shows and some films. The iPad support didn't work either so had to have it on my lap. This plane is noisy. 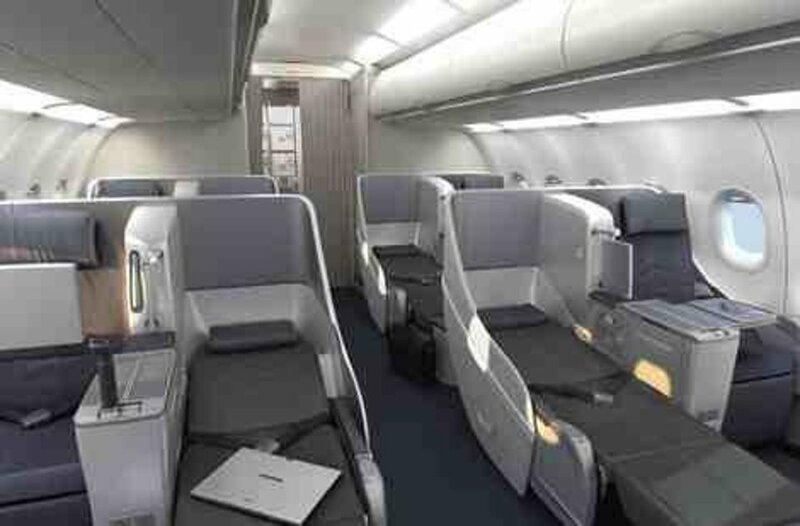 British Airways flies 1 versions of Airbus A318.